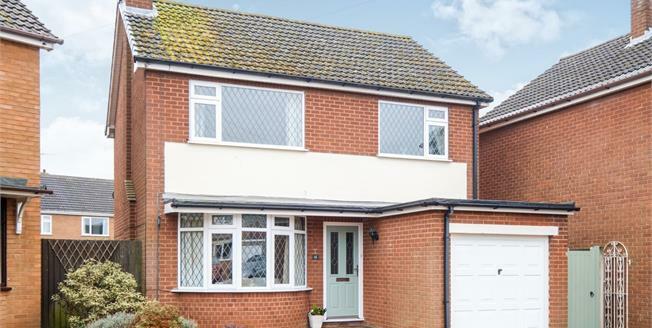 An exceptionally well presented contemporary style detached family home that provides a very versatile range of accommodation appointed to a high standard throughout. The property offers a very generous plot close to both the heart of this exclusive village & lovely rural canal side walks with double driveway, generous frontage and a really good sized rear garden providing extension potential. Internally the property features a large welcoming reception hall, spacious lounge overlooking the front garden, opening onto elegant dining room overlooking the rear garden, fully fitted and well equipped kitchen, integrated appliances & under-stairs pantry/freezer area. 1st floor gallery landing 3 excellent bedrooms, large luxury family bathroom with bath & shower over. Loft conversion potential Viewing strongly recommended.